The Advantage 532 has a higher signal-to-noise ratio than other Advantage series spectrometers. Signal-to-noise improves as a function of -4, meaning that a 532 nm excitation produces signals that are nearly five times greater than 785 nm excitation. 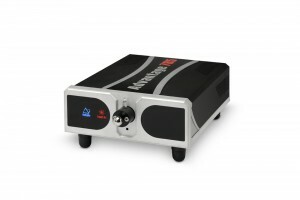 At less than 3 mW laser power, the Advantage 633 is a Class I system, ideal for teaching students the fundamentals of Raman spectroscopy and polarized spectra with the polarization option. (640 nm also available). The Advantage 785 is our most popular NIR system. Fluorescence usually stems from minor impurities that absorb the laser excitation and emit at the same wavelengths as Raman scattering. 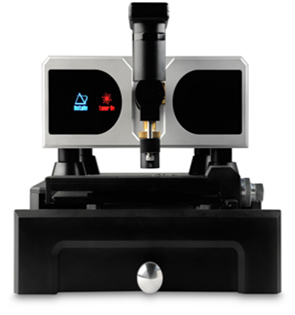 This system greatly reduces or eliminates competing fluorescence found in samples using visible excitation. The Advantage 785 comes with a library of over 1200 materials. (808 nm also available). 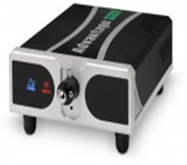 The Advantage 1064 features the longest wavelength excitation available in a dispersive Raman spectrometer. This system reduces analysis time to seconds when compared with FT-Raman and features extremely low-cooled InGaAs detection at -60C. (-90C option available).